HACX was a commercial total conversion for Doom 2 and was originally priced at $15. It has new opponents, sounds, graphics and weapons. The levels are large and well-done and one comes away from it impressed with the whole professional character of the whole endeavour. Eventually, the game was released as freeware for all to download and is highly recommended. A 1.2 update of the original Hacx was released on October 9, 2010. 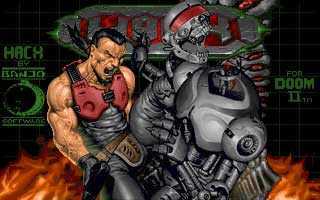 The changes included making it as a stand-alone IWAD recognized by Chocolate Doom, EDGE, Eternity, GZDoom and ZDoom, but still compatible with other source ports.